As building experts have often pointed out, windows are not to blame for condensation. The moisture content of the inside air is the key to both the cause and the cure. Windows do not cause condensation, they are merely indicators. Condensation problems arise because air can hold only a limited amount of Water vapor, an amount that varies with temperature. When air at a certain temperature contains all the Water vapor it can hold it is said to have a relative humidity of 100 percent. The moisture (Water vapor) is invisible. When air is warm, it holds more moisture than it can when it’s cold. As the temperature falls, relative humidity will continue to rise until the dew-point is reached – that is, the temperature at which the relative humidity becomes l00 percent. Any further decrease in temperature will force some of the vapor to condense as Water. Air cooled by Contact with cold surfaces Will therefore deposit some of this water vapor on the surface whenever it has more Water vapor than it can hold as its new temperature. Condensation usually occurs first on windows because they have the lowest temperature of any of the interior surfaces in the house. When Windows and Window frames in a house show signs of sweating, fogging or frosting, there is only one reason: TOO MUCH MOISTURE IN THE AIR INSIDE THE HOME! Moisture on windows also proves that you have a tight home. Condensation is a modern problem – older “loose” homes need added humidity because the free infiltration of dry air from outdoors keeps the moisture level low. New methods of construction create a vapor barrier that holds in the moisture released into the air by bathing, cooking, washing and other home activities. Remember the first sign of excess moisture is the fogging of Windows. The householder need not measure the humidity directly. He can simply use the Windows as a guide to the proper humidity level Within the house. As soon as objectionable condensation occurs on the inside surface of the window, steps should be taken to reduce the relative humidity by controlling the moisture sources or by increasing ventilation. Humidities should be controlled so that little or no condensation appears on the inside surface of the glass. When outdoor temperatures are moderate rather than very cold a higher ventilation rate may be required to control humidity because outside air brought in at moderate temperatures contains more moisture than very cold air would. Humidistats available from Philips Industries. Cut condensation by keeping humidity to realistic levels…HOW? The principal sources of moisture in a typical home are the household activities, which vary with the living habits of the family. For instance, cooking for a family of four adds 4.5 lbs. of moisture a day to a home. Each shower contributes half a pound; Weekly laundry, 30 lbs. ; human occupancy 6 to 8 lbs. Per day; and dishwashing, 1.2 lbs. Gas appliances will add moisture from the Water vapor, which is one of the products of Combustion when gas is burnt. Large fish tanks, watering of plants and humidifiers are other common sources of moisture. Figures show that the modern living of a family of four can easily add 150 pounds or more than 18 gallons of water per Week to the air in the home. All of this moisture must eventually escape. And learn to help it out. Natural air leakage is a major controlling factor, which prevents excessive humidity within a home. Leakage takes place through cracks around Windows and doors, vents for furnaces and water heaters and to some degree directly through Walls. Through these channels, the inside air with its accumulated moisture is replaced by outside air, which, in colder Weather, is much drier. If you have trouble with condensation part of the problem is the “tight” modem home that you live in… a home that you can heat for a fraction of the money it takes to heat an older home, and a home that’s cleaner and more comfortable besides. It is more satisfactory to have a controlled source of ventilation than to depend on the uncontrolled Ventilation from cracks around windows and doors. Any method of ventilation is good. Use exhaust fans to remove moisture caused by cooking, bathing, washing and drying, before the moisture is mixed with room air. 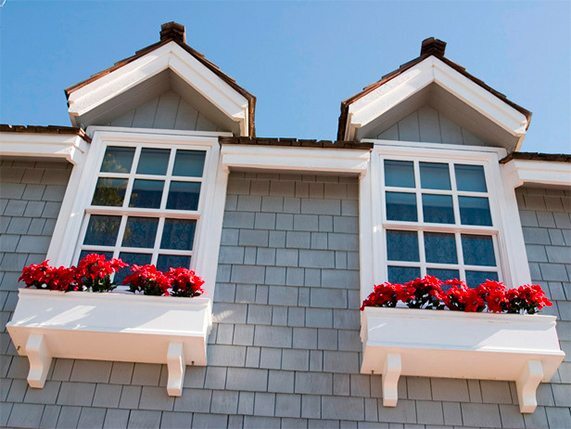 Open a window or vent whenever operating exhaust fans to bring in outside air. Keep small sidewall or ceiling vents cracks slightly to allow continuous escape of humid air. Heat loss from this will be surprisingly minute. Windows are normally relied on for general ventilation and whenever possible the windows nearest the source of moisture should be opened. 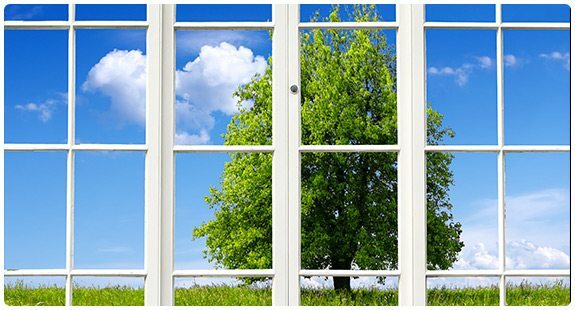 Opening a Window in each room for l0 minutes three or four times a day allows the stale, humid air to escape and fresh, dry air to enter. You see, the basic principle of reducing Window condensation is extremely simple. When there’s too much condensation on your windows it means that humidity is too high for the good of your home. The problems can be solved by controlling the causes of moisture in the air and by replacing moist air with dry fresh air. There are other methods of control also. The higher the temperature the more water vapors or humidity can exist in a given space. Therefore, controlling the temperature within the room will somewhat control the amount of moisture in the air. Mechanical dehumidifiers are available if you want to consider investing approximately a hundred dollars. Recognize that the only way to stop condensation is to reduce the moisture in the air in your house. Regularly bring in a reasonable amount of dry outside air through ventilation. Air out rooms daily. Always use exhaust fans and ventilators when cooking, bathing or washing…use them more often and leave them on longer than has been your custom. When possible, control sources of air moisture. Shut off furnace humidifiers and other humidifying devices. Always mix hot and cold Water as they come from the faucet. Don’t maintain excessive room temperatures Within the home. 68 is very comfortable. Make use of a small de-humidifier. 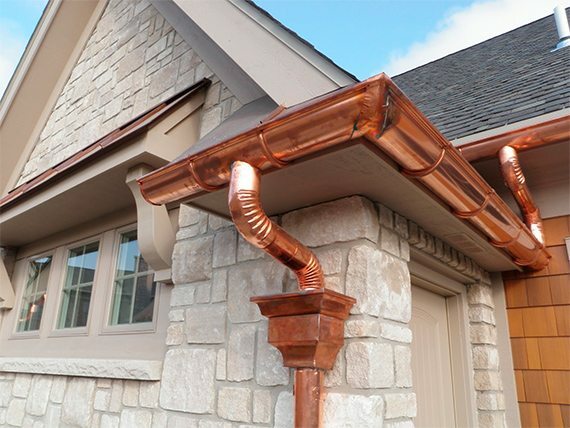 If troublesome Condensation persists, see your heating contractor about an outside air intake for your funiace, about venting of gas burning heaters and appliances or about installation of ventilating fans.